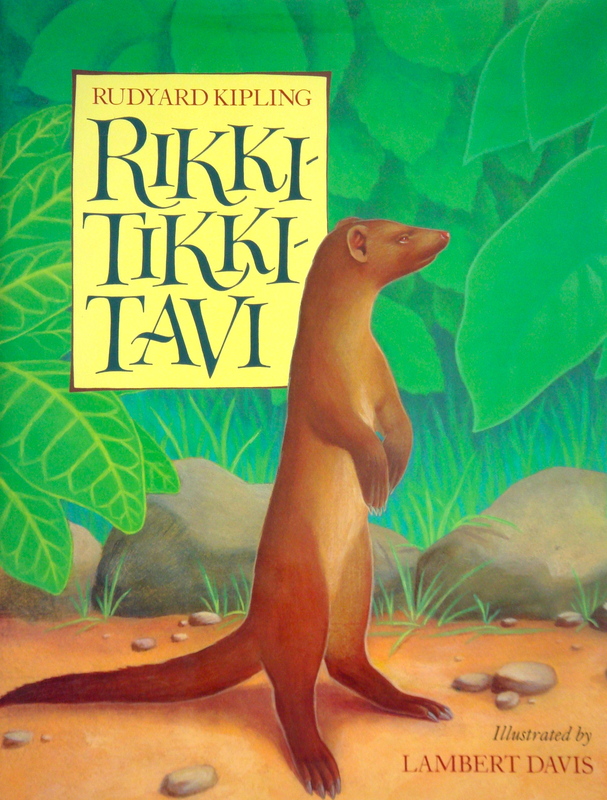 Rikki-tikki-tavi is a valiant little mongoose who is washed away from his family in a flood and rescued by a young English boy. 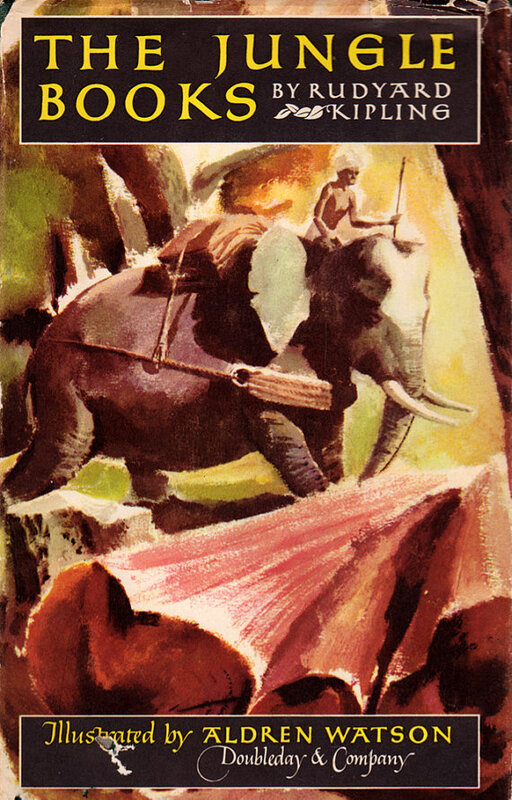 He finds the inhabitants of the bungalow garden cowed by Nag and Nagaina, the great black cobra and his wicked wife. Although inexperienced as a serpent slayer, he knows his role in the world. He first attacks a deadly krait, thus saving Teddy’s life, and then takes on Nag, thus saving Teddy’s parents. In his final battle, he vanquishes his most dangerous foe, the vengeful Nagaina, with a combination of brazen courage and psychological cleverness, knowing that she will risk all to save her last egg from destruction. Rikki-tikki is matter-of-fact about his exploits and has nothing but angry disdain for foolish Darzee, the tailorbird, who sings his triumphant praises with imbecilic enthusiasm. Nor does he understand the gratitude of Teddy’s parents for acts which he considers all in a day’s work for any honorable mongoose. He is not motivated by love or loyalty to humans, nor by the prospect of culinary rewards, but simply by his instinctual need to rid his world of snakes. Rikki-tikki is his own mongoose and is never diminished by subservience to man. The same cannot be said for all of the animals in the other stories that make up The Jungle Book and the Second Jungle Book. 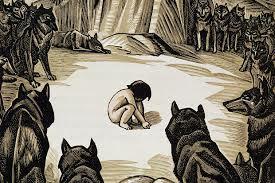 Eight of the 15 tales concern Mowgli, the man-cub raised by wolves, who is stalked by Shere Khan the Bengal Tiger, and mentored by Akela the Wolf, Bagheera the Panther, Baloo the Bear, and Kaa the Python. Ultimately Mowgli exerts his human supremacy over the animals of the jungle and we are reminded of an unfortunate pattern in Kipling’s works. 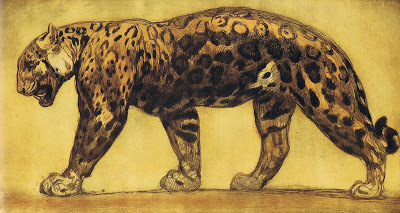 Kipling was born in Bombay, son of a professor of architectural sculpture. At the age of five, he and his three year old sister were deposited as boarders with a couple in England so they could be educated on home soil – for Rudyard, victim of the brutality of the missus, it was a miserable experience. At 16, he returned to India and spent the next seven years launching his writing career. And then he left, to spend his adult life in the U.S., England, and South Africa. The 12 formative years in India left an indelible mark which informed most of his writing. As a chronicler of British India, he had no peer. 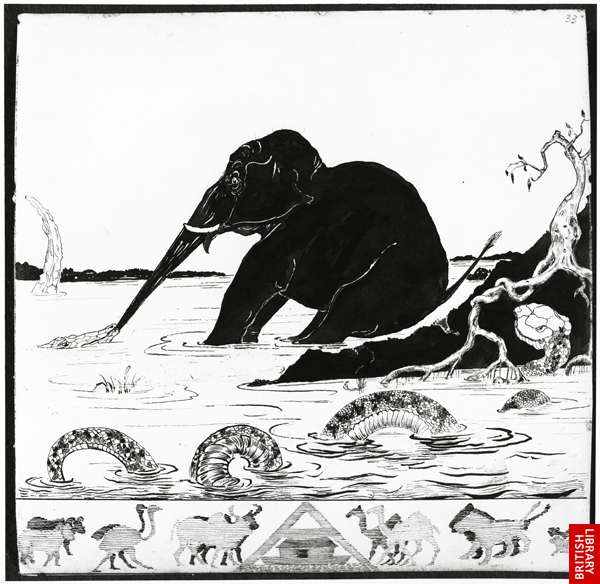 Kipling was a broadly talented author who achieved glory as a writer for both adults and children, of both short stories and novels, and of both poetry and prose. Immensely popular in his time, he was awarded the Nobel Prize in Literature in 1907 at the age of 42, the youngest recipient ever. Like many writers, he was subsequently vilified for reflecting in his writing the qualities of his times that were later found unsavory – in his case, the arrogance, racism, and militarism of British colonialism. 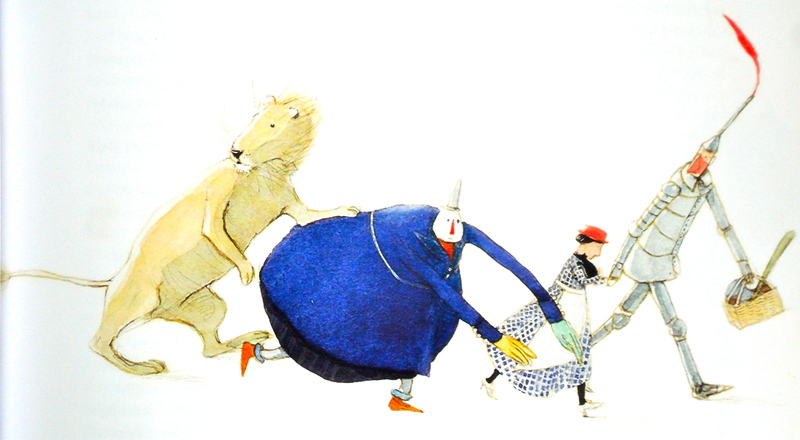 His innovative works for children have endured – The Jungle Books, the Just-So Stories (addressed in an Arabian Nights kind of way to “O My Best Beloved”), and the ever-brilliant Kim.